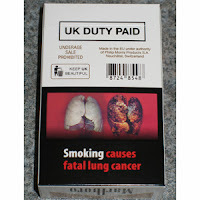 It probably is heartening to see people smoke even after seeing a deadly image on the cigarette box. Well after another day in the office Roy sat in the cab just to realize a fact that this driver had an even better story of choosing life over death than the sleepless driver. (Refer: Sleepless Mornings). Roy just sinked into his seat. A Tavera. The AC was on. He saw a packet of Nicorette right behind the steering. “Kya aapne smoking chod diya( Have you quit smoking)?” Roy asked. “Nahi Bhai, kam ho gaya( No, but it has definitely reduced),” the driver, Suryakansh replied. A chewing gum. He took the packet and just read through the words written on it. For people who continuously smoke, they require a flow of nicotine in their blood. This might help them. The rest of the conversation happened in Hindi which has been translated. From 60-70 cigarettes a person has come down to 1-2. Roy had a living example right next to him. When you can’t decide if life or death is a better option, a chewing gum comes to the rescue. This is probably just another story of quitting smoking. This is probably just another story of a person choosing life over death. A human would do just about anything to not be close to death and keep running away from it. When a person smokes and then quits, he/she has done a fantastic job but do they realize the fact that the damage has already been done. Why did you even start smoking at the first place? Didn’t you have any better things to do in life? 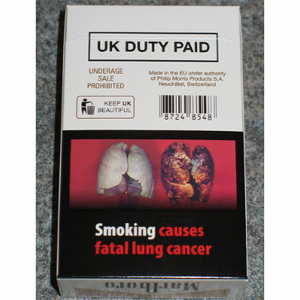 When you purchased that first box of cigarette didn’t you see a horrifying picture on the box? Well now when you purchase the next box, you should realize the fact that, the box has a picture which is a mirror image of yourself.